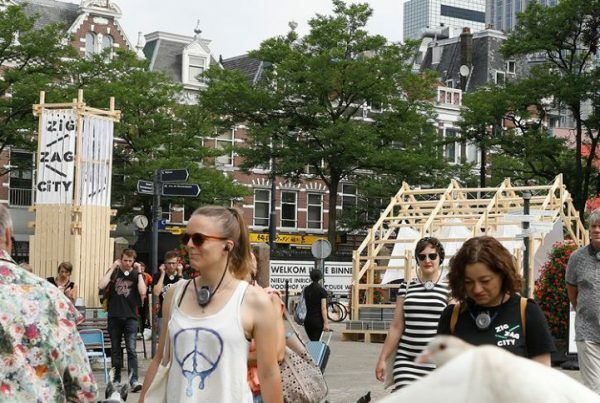 This art installation at the Chasséchurch is a project of Creatief Initiatief. 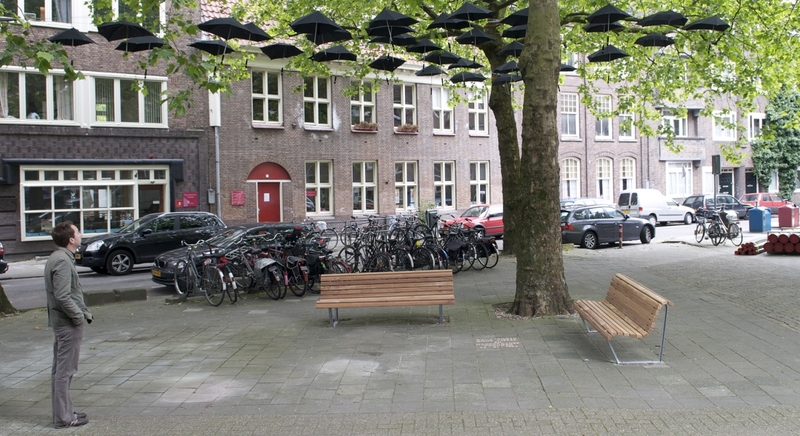 Fifty umbrellas are suspended from a cable-system, supported by three trees. 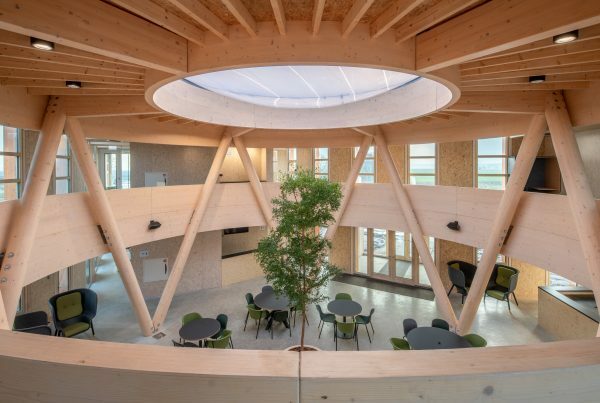 Summum Engineering’s Diederik Veenendaal, while working at Witteveen+Bos, carried out the form finding and structural analysis of the cable-system, including an estimate of the trees’ capacity to support it. 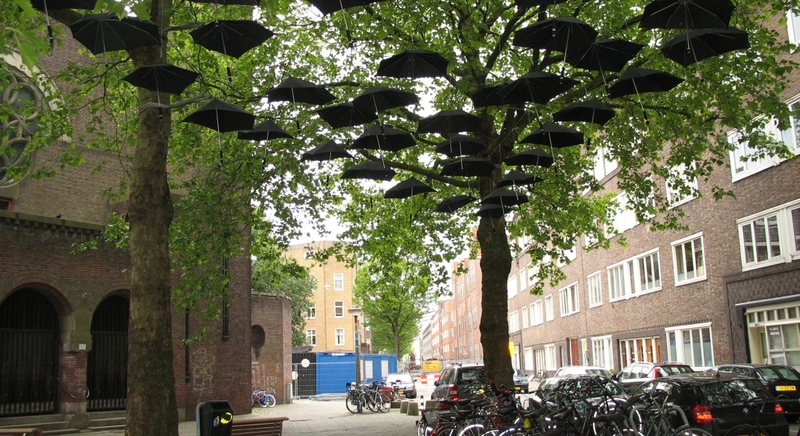 Under My Umbrella is an art project intended “to protect residents and pedestrians from the economic crisis blowing above their heads. 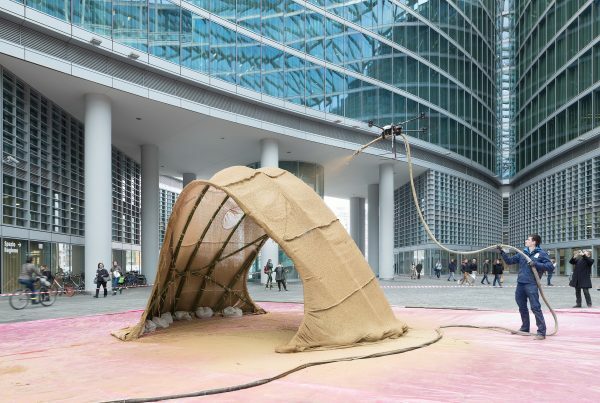 Economic pitfalls, environmental scares and inexplicable viruses are hanging in the air”, according to the artists from the – now defunct – collective Creatief Initiatief. 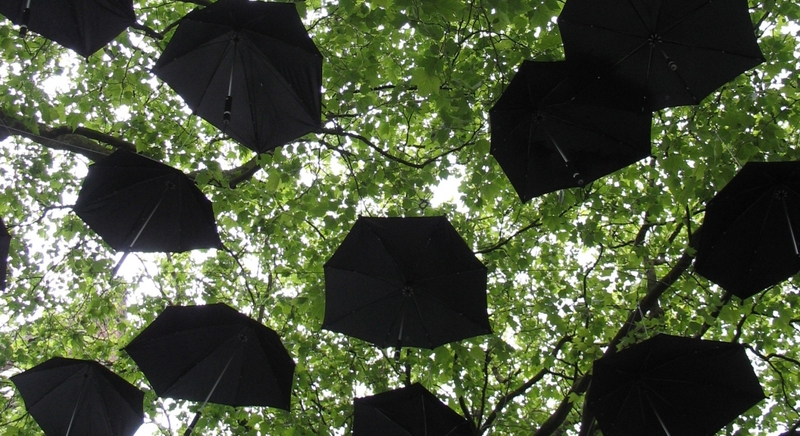 The concept of suspending fifty umbrellas in front of the Chasséchurch was supported by Senz Umbrellas, manufacturer of storm umbrellas, and Fiction Factory, who built the installation. 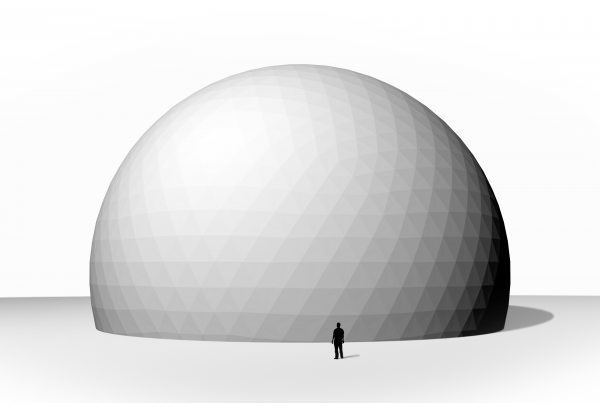 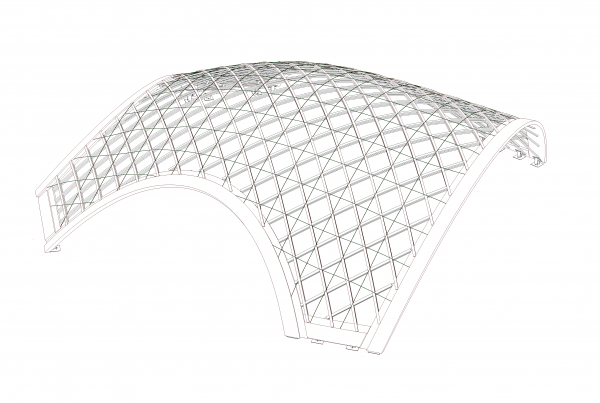 The structure was form found and analyzed using a custom scripted version of dynamic relaxation. 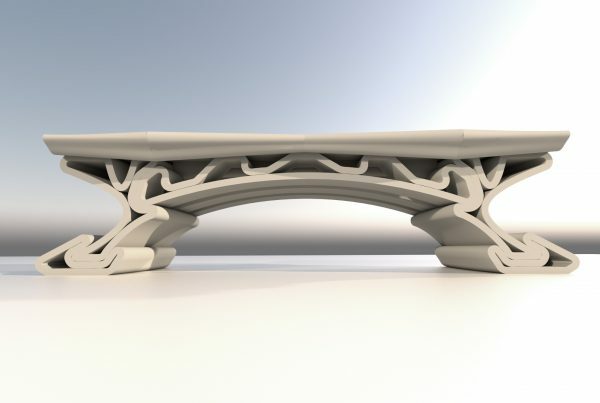 A particular challenge was to estimate the capacity of the supporting trees, as code does not provide guidance on the material properties or the serviceability requirements for living trees.